The e-commerce era has not only changed how consumers shop, but also how they return unwanted items. Once an afterthought for many retailers, providing a seamless returns experience has become top priority. According to the 2017 UPS Pulse of the Online Shopper™ study, 79% of consumers said free shipping on returns is important when selecting an online retailer. Today’s retailers are finding innovative ways to address the logistical, economic and environmental challenges associated with returns shipments. 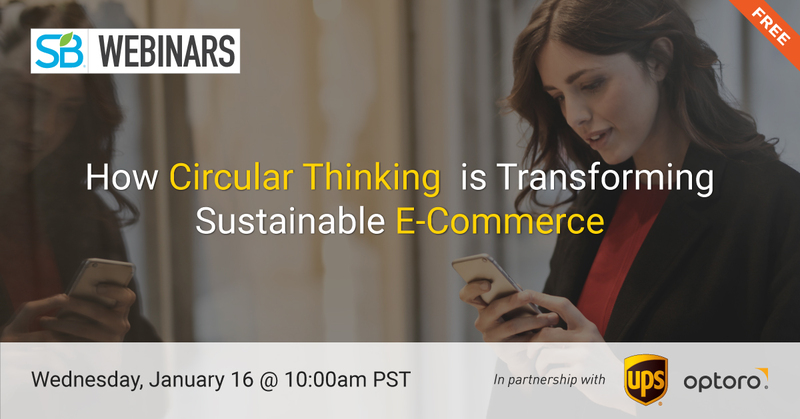 Crystal Lassiter, Senior Director of Global Sustainability and Environmental Affairs at UPS, and Ann Starodaj, Senior Director of Sustainability at Optoro, will share how they’re combining global logistics expertise and the world’s leading reverse logistics platform to help retailers manage returned and excess inventory. 1. Learn about the latest issues in the reverse supply chain and how they affect sustainable practices. 2. Learn how UPS and Optoro have teamed up to deliver an innovative reverse logistics solution that enables the circular economy. Crystal Lassiter is the Senior Director, Global Sustainability & Environmental Affairs at UPS. Her responsibilities include developing and driving the strategies, initiatives, and reporting activities that advance UPS’s sustainability goals. She began her career in 1996, spending most of her years at UPS in facility maintenance leading teams in Engineering and Facilities functions across the company’s operations. Through her experience leading facility expansions, she oversaw the implementation of natural gas fueling stations, lighting upgrades and other sustainability projects. Outside of work, Crystal loves hiking, dancing, traveling, and practicing Spanish. Ann Starodaj is the Senior Director of Sustainability at Optoro, a reverse logistics technology company based in Washington DC. She brings over a decade of experience in the sustainability field, having held previous positions in the government, non-profit, and private sectors. At Optoro, Ann oversees initiatives that enable retailers and brands to reduce waste and emissions in the reverse supply chain. She also manages the company’s corporate citizen and community engagement programs. Ann holds a B.A. in Environmental Studies from Lewis and Clark College and an M.S. in Environmental Policy from Bard College. She lives in the Hudson Valley, NY with her husband and son.